New live videos are out! 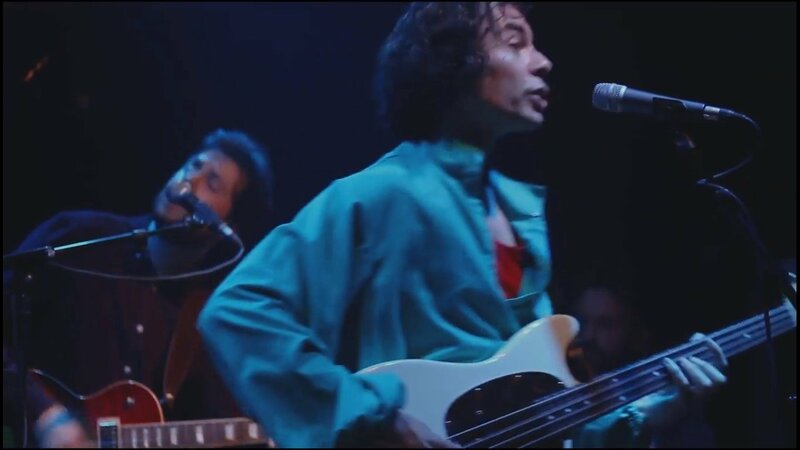 I'm very happy to share with you two new live videos from our show at six d.o.g.s last December. Two tracks off the new album performed live. Massive thanks to Nefele Papaioannou for the editing and production. 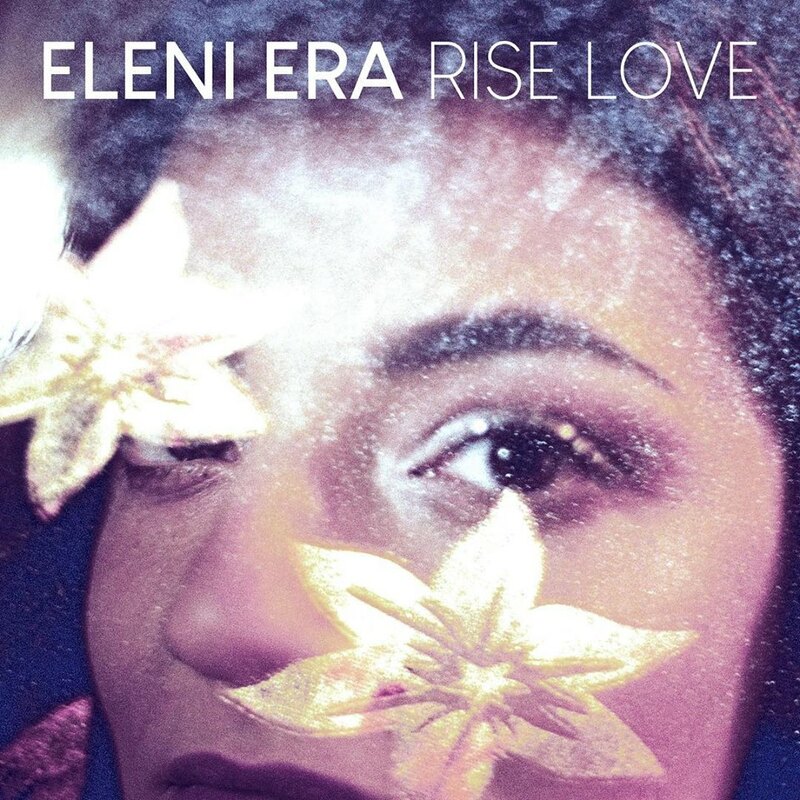 Eleni Era album Rise Love released! The album that I'm really proud to have recently produced is out in the world and you can purchase it on CD and LP from Louvana Records! It's also out on all digital platforms! Go listen, go buy, enjoy! I am so happy to finally share this with the world! Beaming Light, my new album, is premiering on the 405 with a great review as well! Read all about it and stream the album. If you like it then you can ORDER it on vinyl, CD or digital from HERE. New - third - single from the album Beaming Light is out! You can listen to it below. 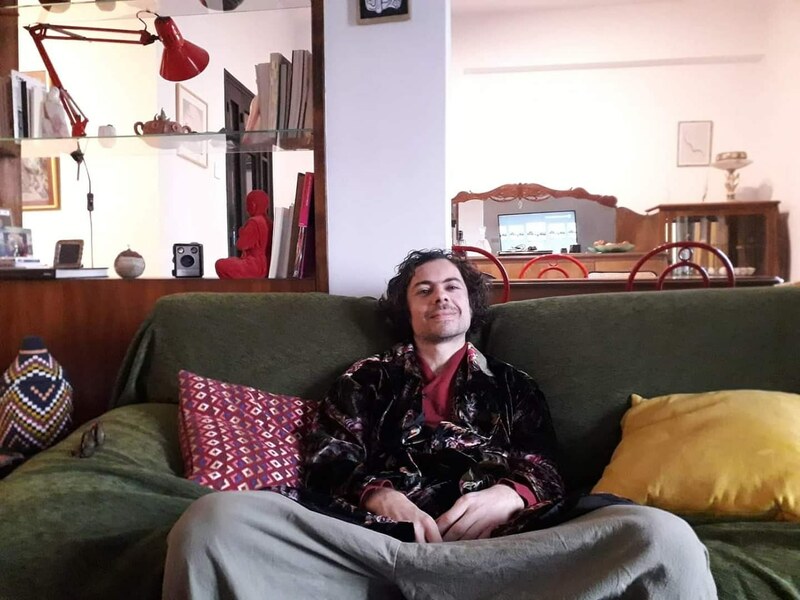 Also, check out this small interview I gave to the French webzine Soul Kitchen plus a playlist of my current favourite music. Read Soul Kitchen feature HERE. 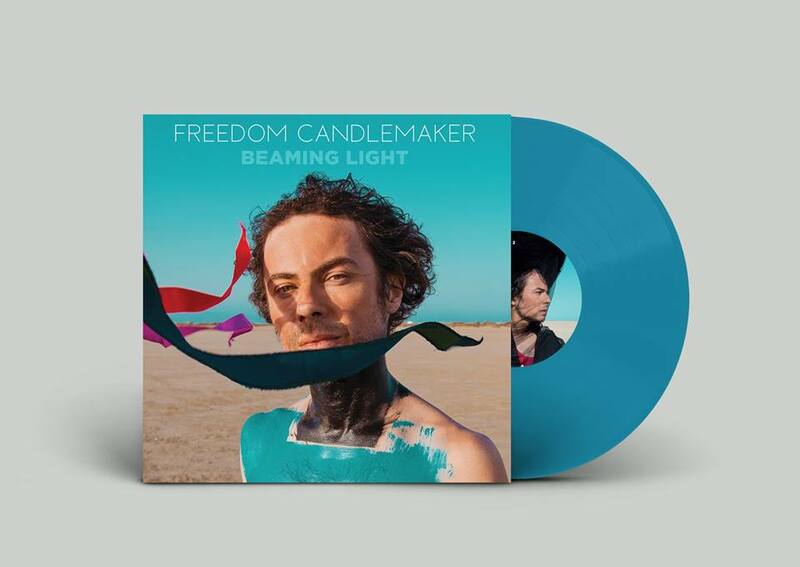 I'm very happy to announce that you can now PRE-ORDER Beaming Light on limited edition black and turquoise vinyl LP, CD and digital album!! It's coming out on the 22nd of February on Inner Ear Records. I am heading to Berlin tomorrow to do some solo shows and I'm very excited. Catch me at the following. New single 'Journey' is out soon. Stay tuned for more info. Here is the video and single Astral Body! With great pride and joy I present to you the new video clip Astral Body! This could not have happened if it wasn't for my two amazingly talented friends Filep Motwary and Andreas Dimitriou (white leaf pictures) who have worked so hard to make this dream a reality, and I thank them endlessly!! You guys are the best!! I also thank all the wonderful people that were involved and brought such good vibes to the set. The single is out on all digital platforms HERE! Enjoy and share, far and wide! I had such an amazing time watching Le Guess Who? festival in Utrecht. It restored my faith in music and made me feel that we are living in the best yet time for music! From any angle you see it! Material, audience, performance, everything! 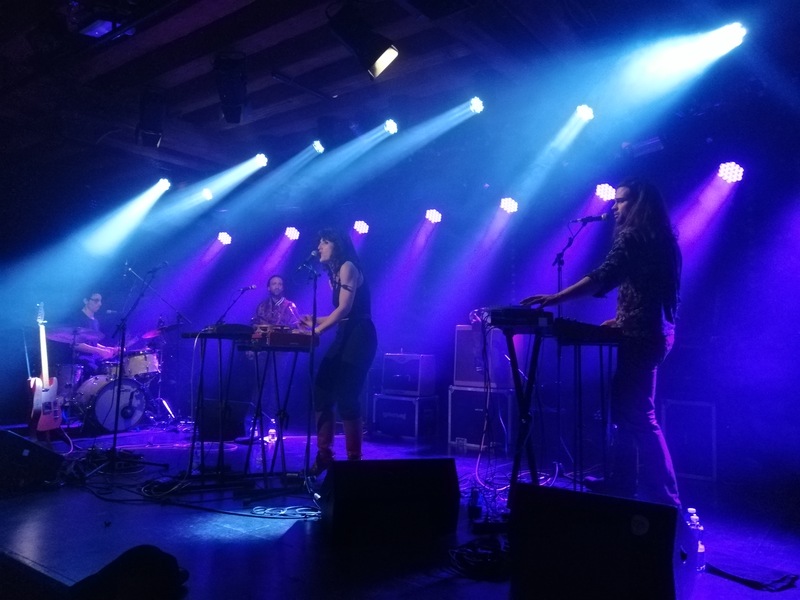 I was also thrilled to share the stage with the amazing Joan as police woman and band in Utrecht and Winterthur! Dutch audience is amazing and so is the Swiss. Such great reception and great experience for me overall. JAPW is one of the tightest bands I have ever seen and really fun people to be around! Here is a photo of me with the band and some shots from the shows. 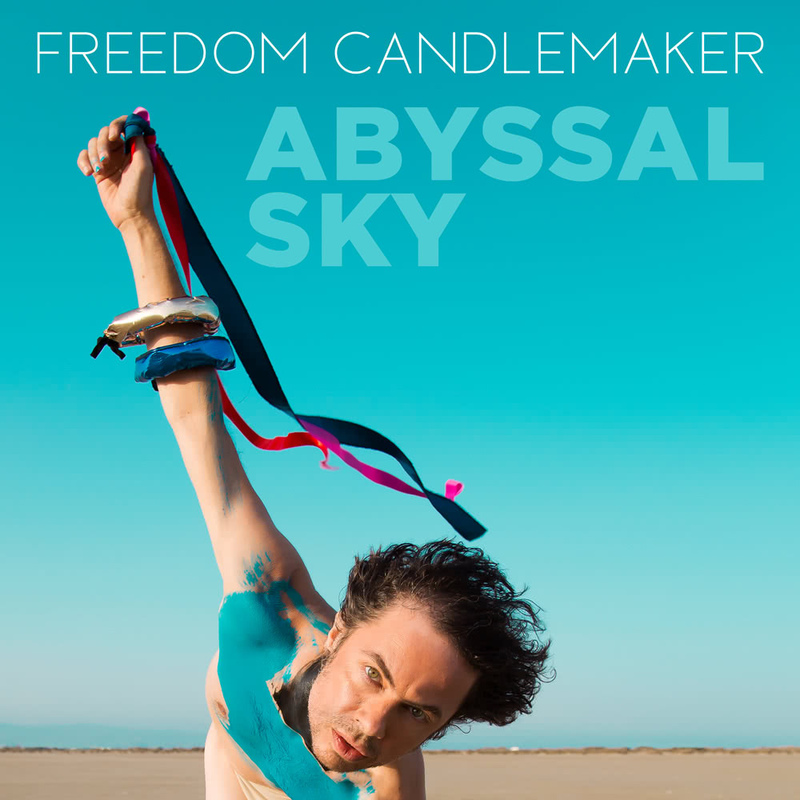 First single from Freedom Candlemaker album is out today!!! 'Abyssal sky' the first single from the forthcoming album 'Beaming Light' is out today! 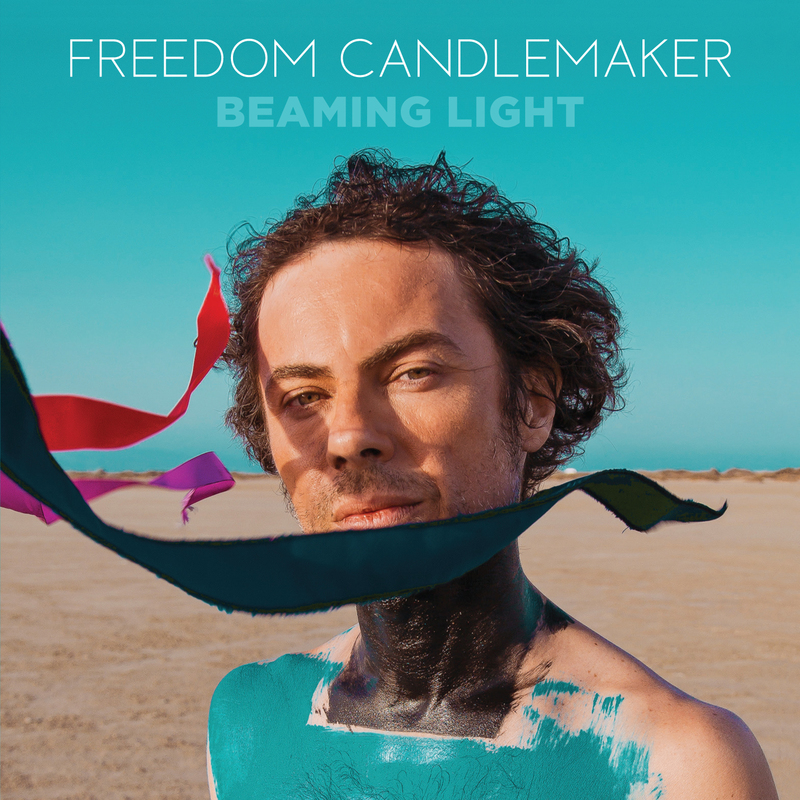 Beaming Light is the first album I am releasing as Freedom Candlemaker, which is the name I'm going to be using from now on for my solo work. I'm very happy and proud for this album. 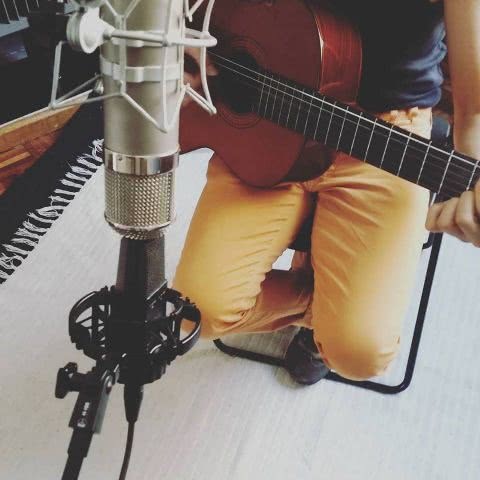 I really enjoyed the slow process of making it and carving the sound along with producer and friend Alex Bolpasis and I love the final outcome. Abyssal sky is the first song on the album, the first song we worked on and it feels like it has to be the first song to see the light of day. It is also the song that lends the title to the album, due out in February on Inner Ear Records, who I'm really happy to be working with. 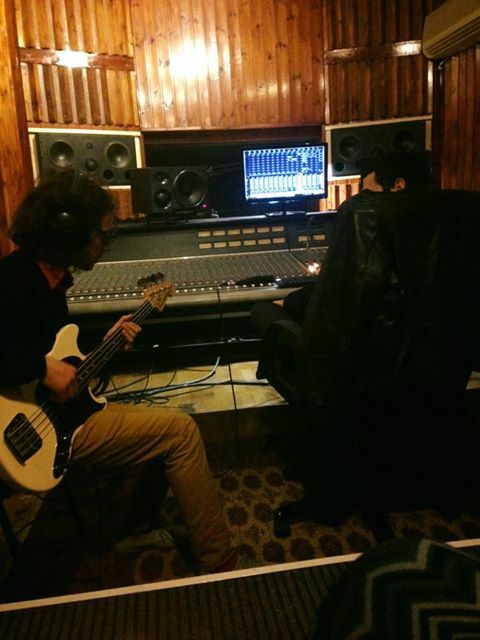 The track also features Mike Kapilidis on drums and Dimitris Chatzizisis on guitars. I am very looking forward for everyone out there to hear it and enjoy it! Below the artwork for the single, with the magnificent photography of my dear friend Filep Motwary and the layout by Zara der Arakelian. Much more to come soon so stay tuned! I'm happy to announce that the first single from 'Beaming Light' is coming this coming Thursday the 6th of November. The name of the track is 'Abyssal sky' and it's the first track on the album due out in early February. Another single will follow in early December! It's been a long time coming and I'm so excited to share this with the world. 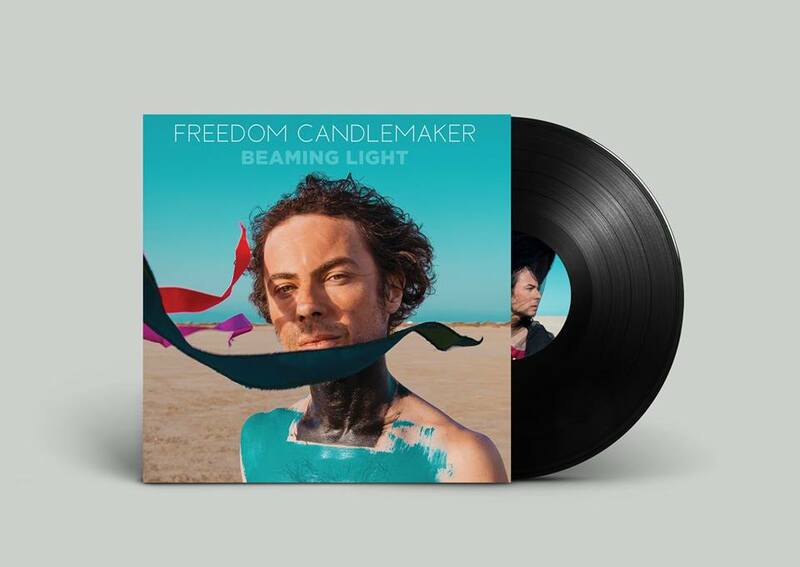 The new album as well as the first single will be coming out under the name FREEDOM CANDLEMAKER which is the name I will be using from now on. In case you are wondering what it means, it is a translation of my name in English. I'm also hitting the road next week for a short run of shows including two solo shows supporting the amazing Joan as police woman, which I'm so much looking forward to! Check out the live dates diary for more info! Keep an eye out for more news very soon! You can also follow me on Instagram! 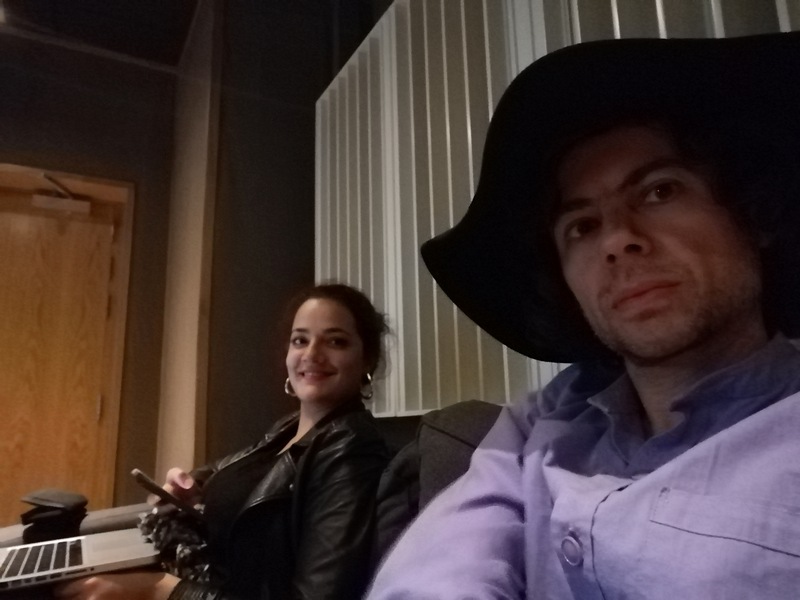 Finally reunited with the gorgeous Eleni Era to record her debut album, to be released by Louvana Records early next year. I had an amazing time producing this album! It felt like living in a dream for week! I believe it is the best thing I have produced so far - including my records - and I think it will blow people's minds when it comes out! What an astonishing artist she is! I so very much enjoyed doing the Musician's Mentality workshop in Thessaloniki (19-21/10/18). 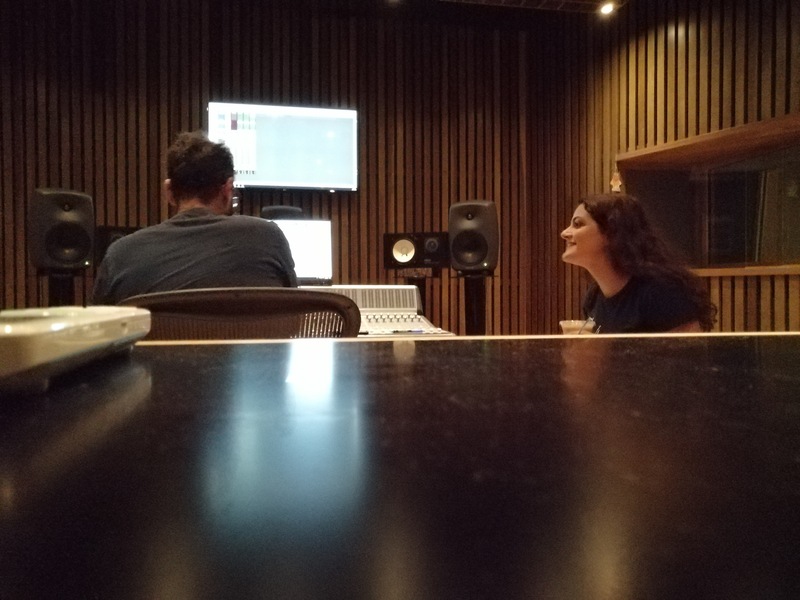 Once again it was such a fulfilling experience for me, sharing so many thoughts, experiences, fears, dreams and insecurities with musicians I respect and admire. 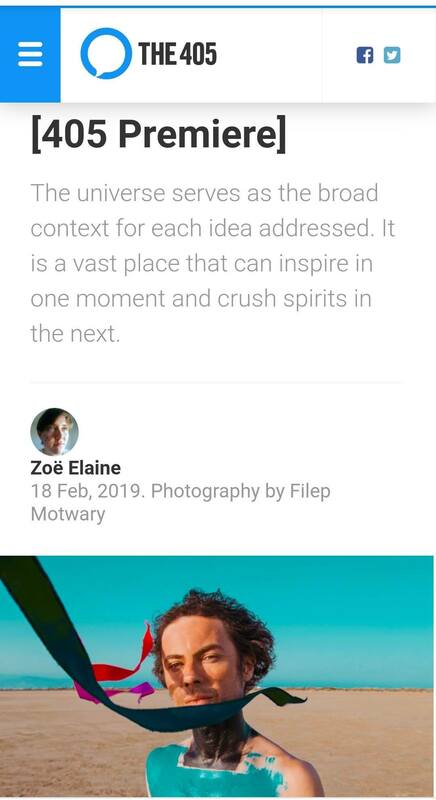 This is something I definitely intend to be doing more in the future, because I think it really helps people unlock their creativity and make them more productive and courageous with their art. Thank you all for being there and sharing this with me! Here are also a couple of shots from our show at Avgo on the same weekend. Dreamy vibes. New album 'Beaming Light' mastering DONE! Ι am happy to announce another workshop about the musician's mentality next week in Thessaloniki. We are also doing a duet show with Dimitris playing some new material as well from the new upcoming album 'Beaming Light'! 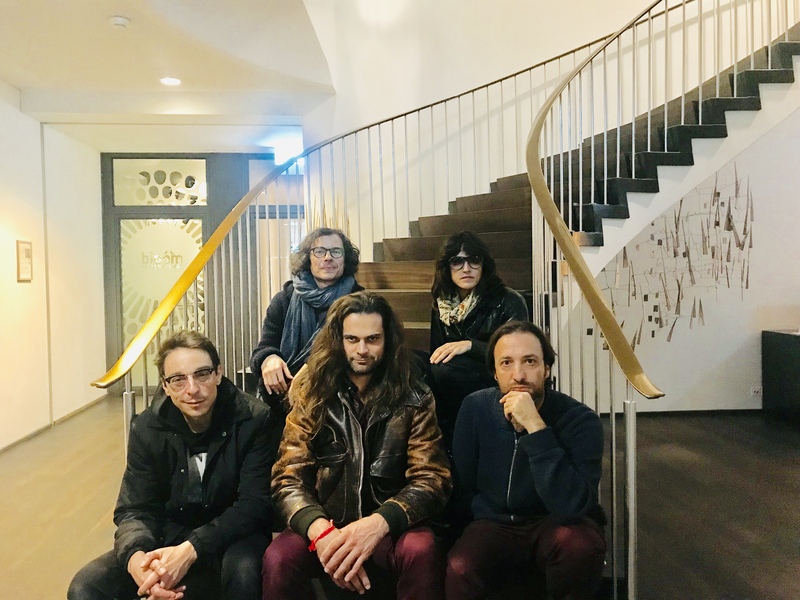 In other news, another show supporting the great Joan As Police Woman in Winterthur, Switzerland!! Supporting Joan As Police Woman in Holland!!!! I'm super super excited to be supporting one of my favourite artists in the world, Joan As Police Woman! Workshop at Music Village was a blast! I had one of the best weeks of my life conducting my workshop about the musician's mindset at Music Village in Pelion! It is immensely inspiring to see people abandon their insecurities about themselves, performing, writing and just going for it! I had such a good time that I stayed for an extra week for the rest of the workshops! I will be repeating the workshop in Thessaloniki in October. More info on that soon! 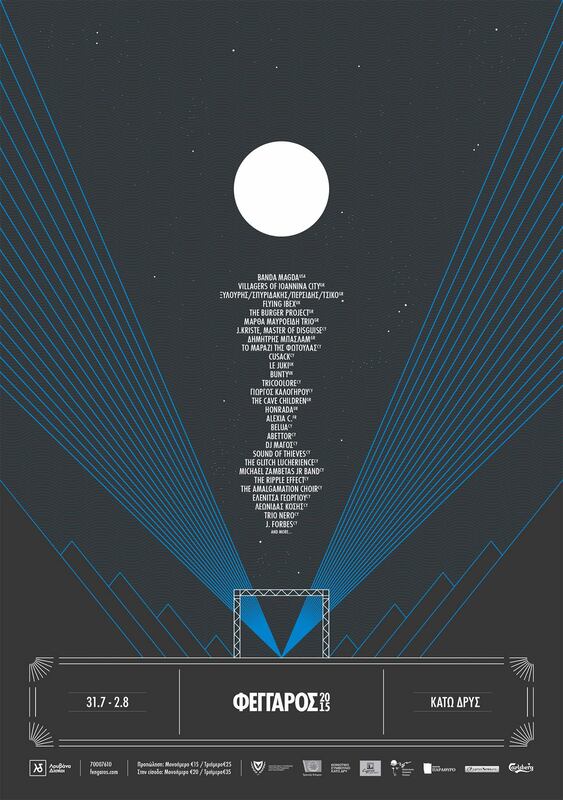 Fengaros Festival 2018 line up! I'm very happy with this year's Fengaros Festival line up. I feel it's the best one yet. Definitely the one that I focused more on than any other year. 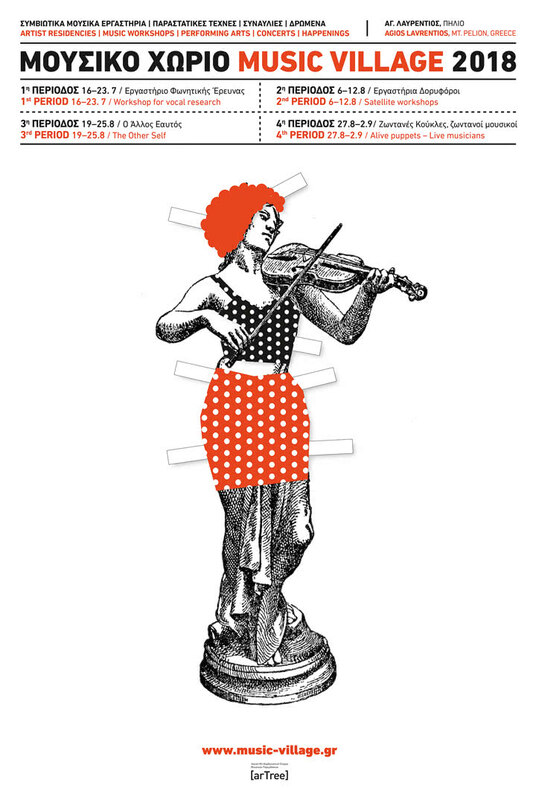 Deerhoof, Joan As Police Woman, A Hawk and A Hacksaw and many more. Not bad eh? It gave me great joy to help produce these beautiful live tracks of my dear friend Eleni Era. We are also very happy to have her on board the Louvana roster. Debut album is coming towards the end of the year. We are also doing some split shows in Berlin soon. Stay tuned! 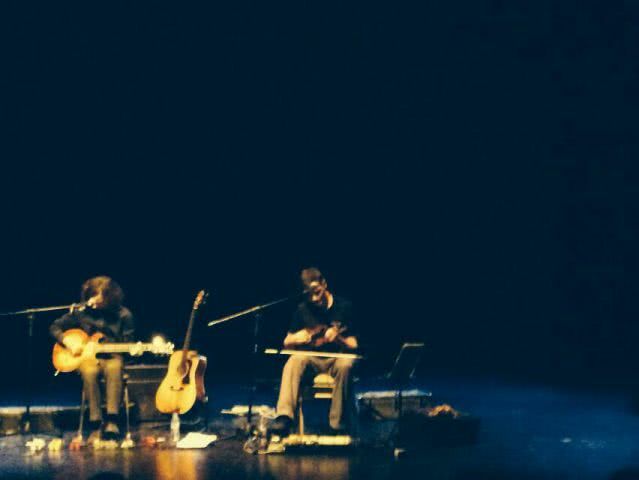 We played a really lovely show in Athens along Pelion Rivers and Avalo (Vassilis Vlahakos from Cave Children). We did a cover for the encore and I thank Maxime Gaudet (https://www.facebook.com/maximegaudet...) for making this great video of that. Check it out! For the first time I'm conducting a workshop at Fengaros Music Village! It's a subject I'm very into over the last year and I feel that is it will be very useful to everyone attending. Including myself! You can check it out HERE along with all the other wonderful workshops effort. My workshop is called 'The Musician's Mentality'. Direct link HERE. 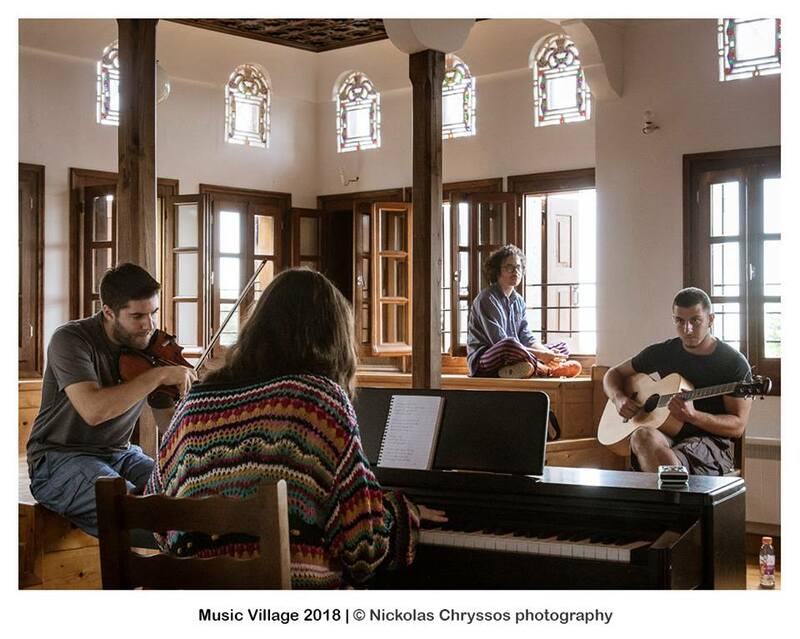 Music Village is a totally unique musical experience that anyone involved with music should experience at least once! Hope to see you there. We have played a handful of shows and are going to play a few more! 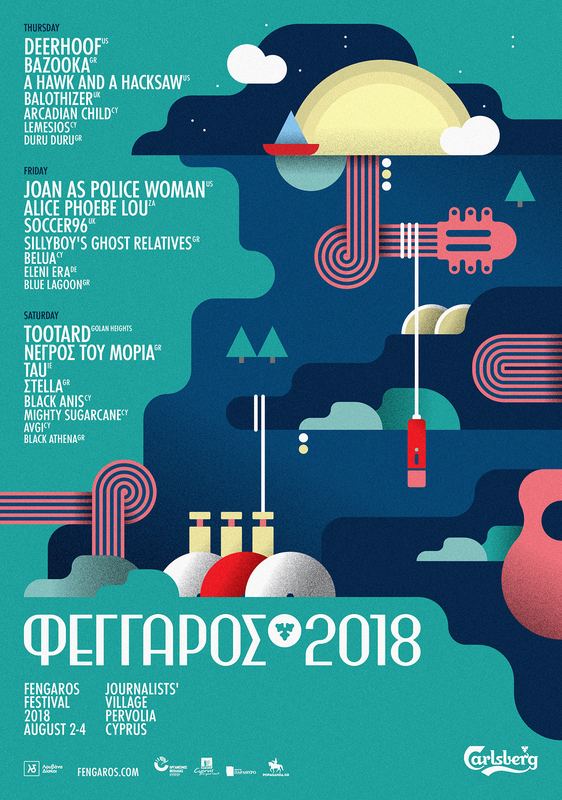 For the first time The Low Spark will be traveling to Greece for a show and with great joy share the stage with our fellow band The Cave Children! You can listen and buy the album HERE! AT LAST! 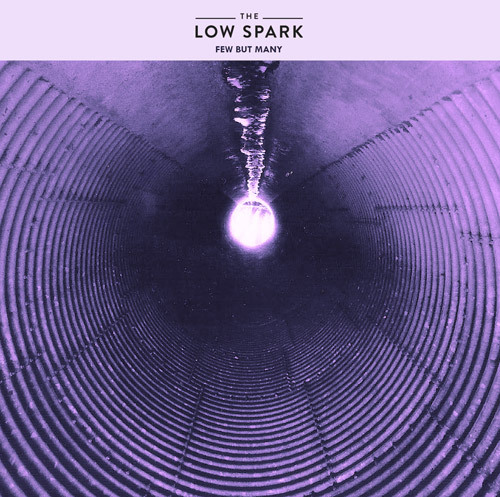 The Low Spark release album !! 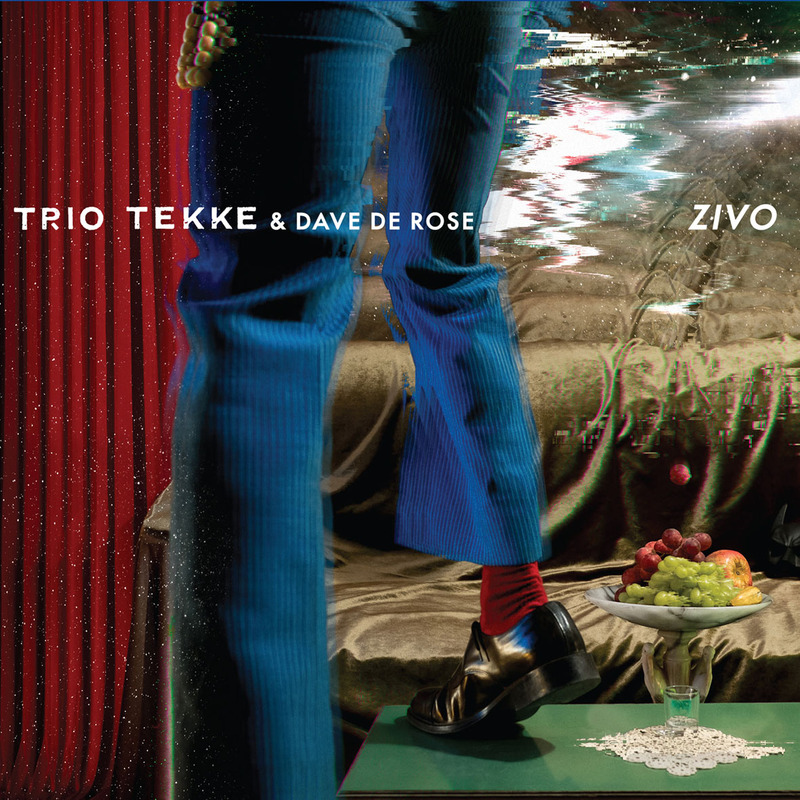 Trio Tekke album out on pre-order! Trio Tekke album recordings completed... off to mixing! It was a very hard working week in London, recording the new Trio Tekke album! It's all down now and we are getting ready for mixing this baby, which Andreas Trachonitis will be responsible for, at studio eleven63. Now Happiness concert at Rialto was a dream! Thanks to all who came. Small but warm crowd! Expect photos and videos soon....hopefully! I'm very happy to announce the first show for 2017 and what a show. At one of the nicest theatres in Cyprus, Rialto Theatre in Limassol, where we played with J.Kriste, Master of Disguise some years ago, and from which show you probably know from the videos. It's on the 11th of February and you can check out info at the live page and also on Facebook. We are heading over to London in early February to record a brand new album with Trio Tekke. This time around the band and the overall sound is enhanced by monster drummer Dave De Rose who is collaborating with us on this album and is helping create a fresh rhythmic blend to go with our new, more electric sound! Stay tuned. Expected release May - June! We are also doing one live show. Check live section or FB event for details! I am very happy to share with you the new live videos by Sotires, recorded and filmed at the Cyprus Library and produced by Andreas Trachonitis! New shows for Sotires announced! 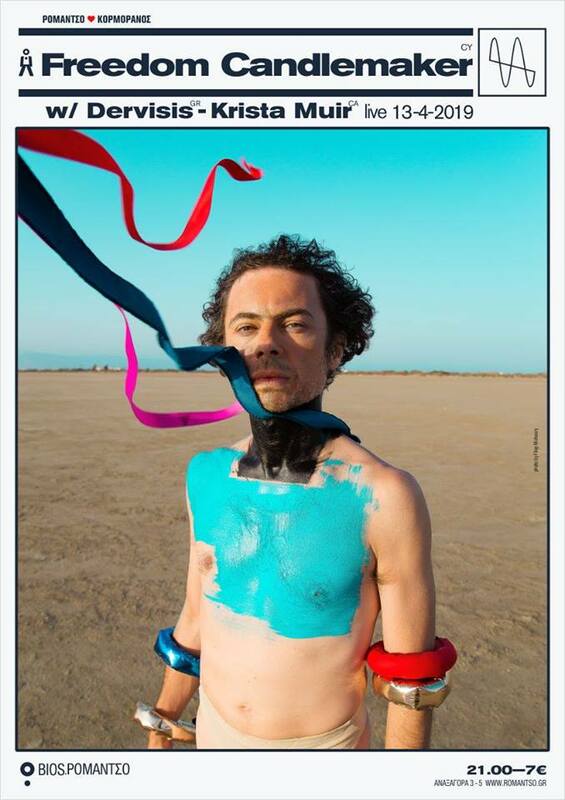 Thre are a few shows lined up to present the album by Sotires in Greece and Cyprus. We will be playing Thessaloniki, Athens, Limassol and Nicosia, plus recording a live video in a library that will come out in January! Head to the live section to check it out! The brand new album by Sotires is released on Louvana Records and we are very happy about that. order it here! Or look for it in all the good record shops if you live in Greece. More news and show soon! Oh and like us on Facebook if you may! This is a new video of us playing an acoustic version of 'Sun melts the ice' off the album Now Happiness. Enjoy! Tour dates coming up in Greece and Germany! It's been a long and busy summer with lots of good vibes and happenings. 'Now Happiness' has traveled to London, Brighton, Athens and then Samothraki island in August as well as Pilion (Music Village) and now we are getting ready for more shows in Cyprus (Axiothea Festival), Greece and one show in Cologne, Germany! (Check out live shows). 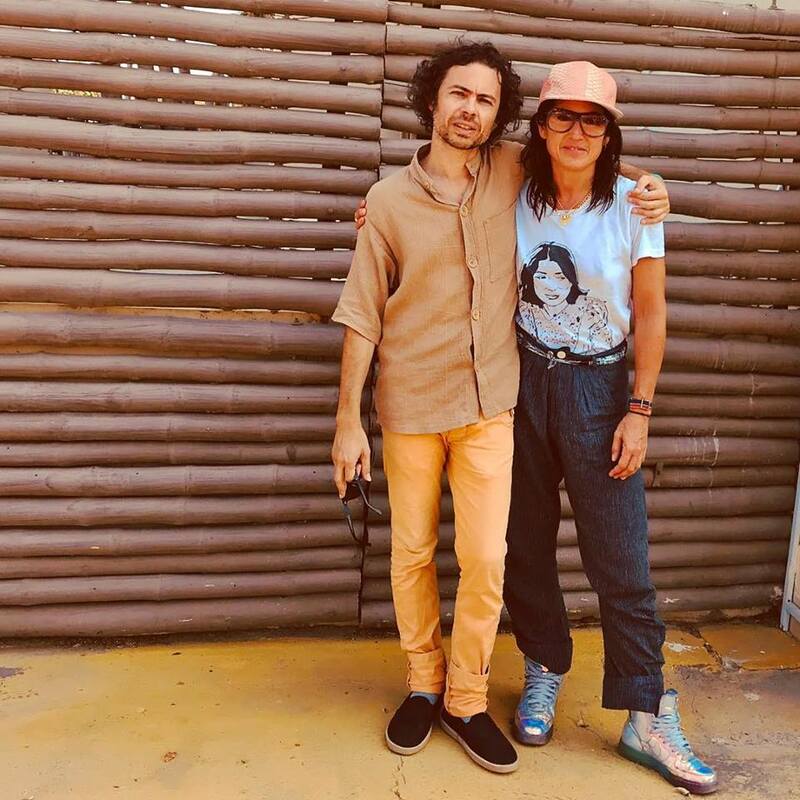 For the Greek tour we will be accompanied by our dear friend and fine songwriter Barnaby Keen, with whom we have been talking for ages to some writing and touring together! 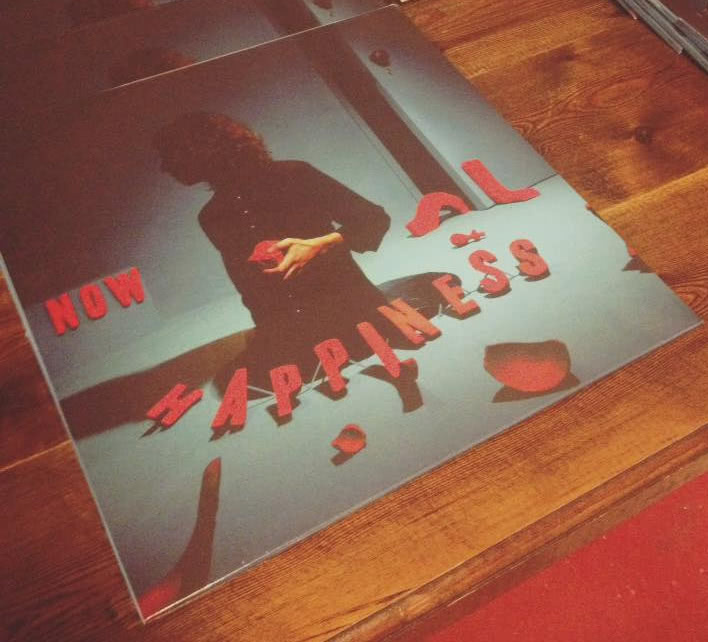 The vinyl version of 'Now Happiness' is now out! You can order it here! 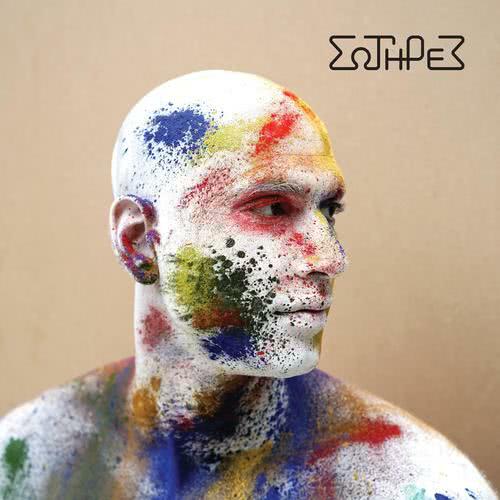 It is also distributed in Greece by Inner Ear Records and can be found in all good record shops all over the country! Fengaros Festival was a blast! We played with THE LOW SPARK and we also did our first EVER show with SOTIRES in front of about 2000 people! We are now putting the finishing touches on the Sotires record and continuing the tracking for The Low Spark record. 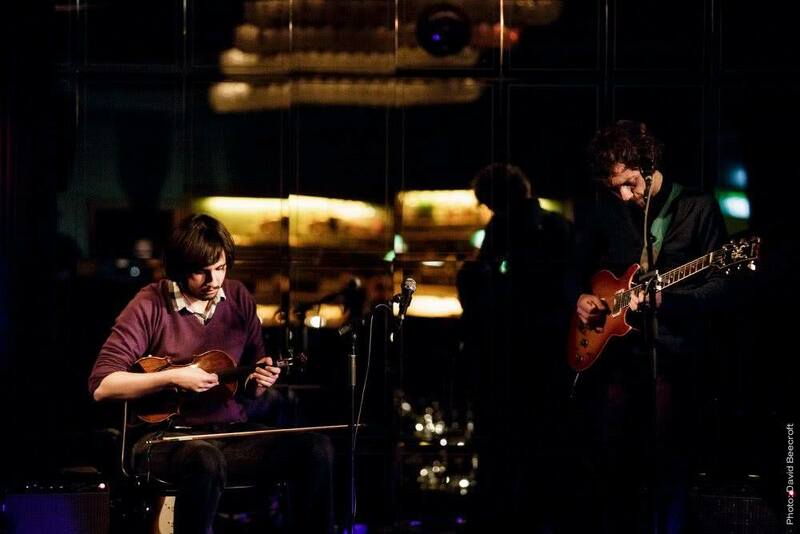 In other exciting news Trio Tekke is coming alive after a year of absense for two Cyprus shows on the 22nd and 23rd of October with our dear friends FLYING IBEX from London which is very exciting! More on that soon! Also, the vinyl for 'Now Happiness' is on the way! You can pre-order it HERE! The play "Our Class" by Tadeusz Slobodzianek, that I composed music for, is going to be performing at Athens Festival 2016 in June! The first album by Sotires is still in the mixing process and the release is looking to be pushed to September. 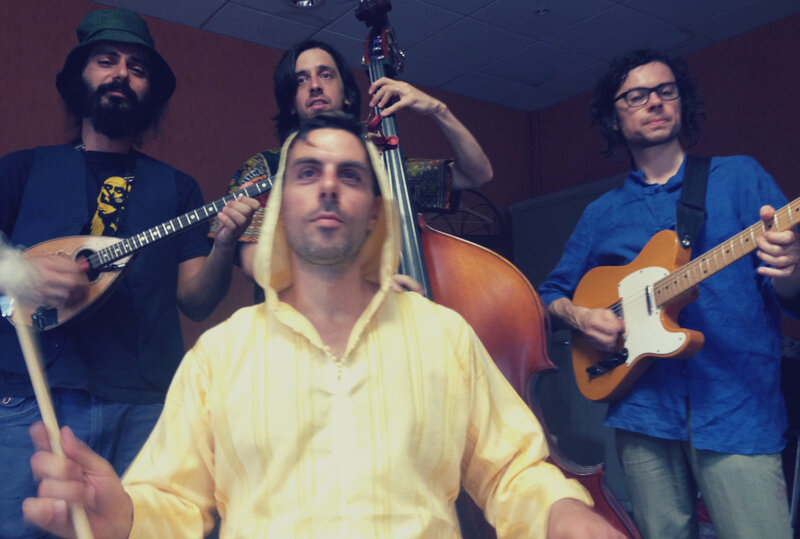 There will be a video though to accompany the first single "Kokkinoskoufitsa" out pretty soon. We are also doing our annual workshop about songwriting and production at Music Village in Greece. You can check out details here! I'm really happy to announce the 'Now Happiness' Spring tour 2016. Lots of dates announced and maybe a few more to be confirmed. Keep checking the LIVE section for updates and details. Here is also a live video from our Cyprus dates in February to warm you up. In other news... we had our first rehearsals with SOTIRES which have turned out a wonderful musical experience. Expect a video of the first single off the new album -which remains without name yet- in a couple of weeks or so... 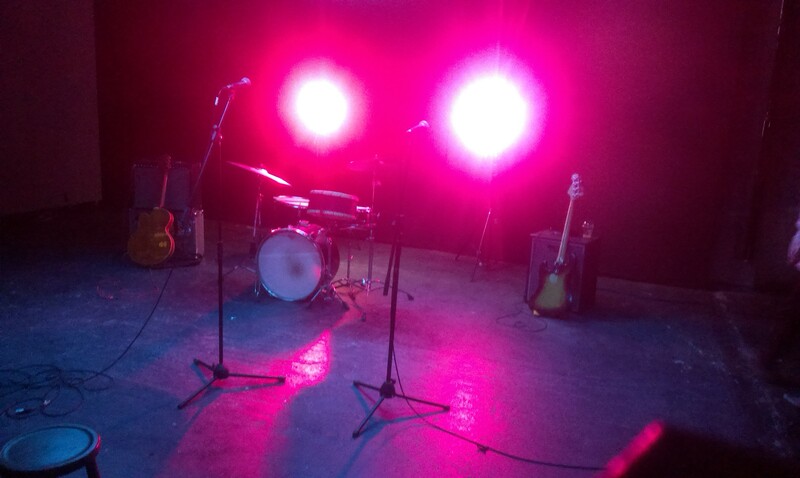 Here is a photo of the set from video shoot. I'm really happy to announce the Spring Tour coming up for "Now Happiness". We are going to visit Germany, France, (April) and England (May) plus do a few more shows in Cyprus. Check out the Live section to see what is booked at the moment. I just finished doing the music and sound design for the play "Our Class" by Tadeusz Slobodzianek, (see trailer) directed by the wonderful Greek director Yannis Kalavrianos. It was a great experience for me and a great team to work with. Also, I have been nominated for the Theatre awards in the best music category for my work on "39 Steps" from last year! The ceremony will take place on the 21st of March. 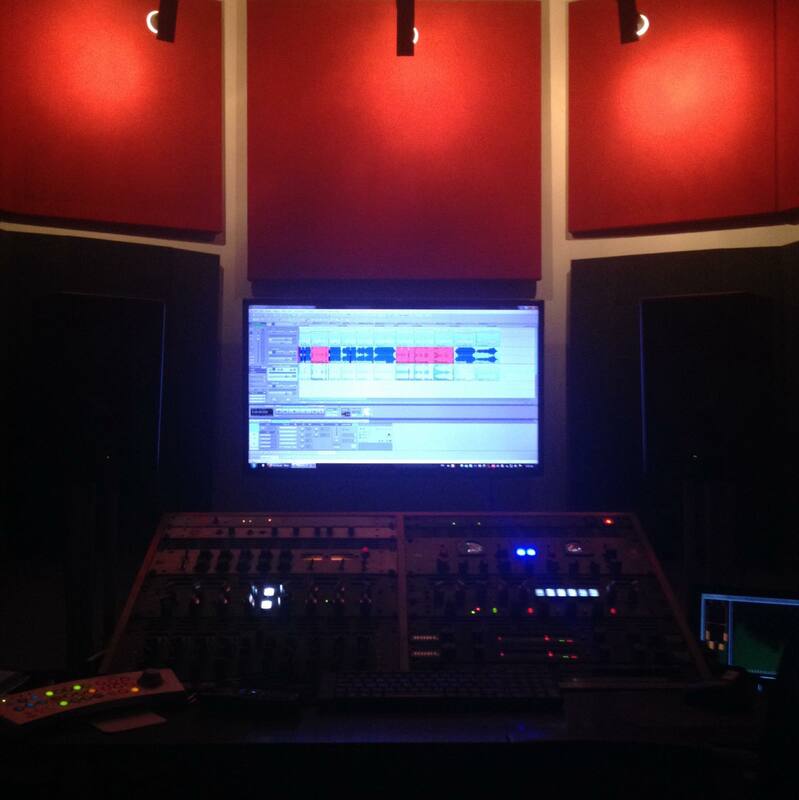 The first album by Sotires is in the mixing process and we are hoping to release it sometime before the summer. I'm flying to Athens towards the end of the month to start rehearsing with the band! 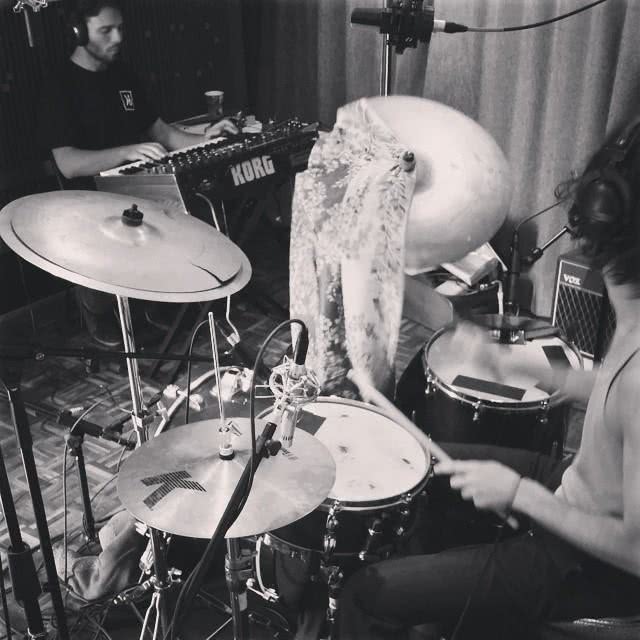 ...are in the studio recording their debut album, whilst at the same time doing various shows here in and there (check LIVE sections for details). 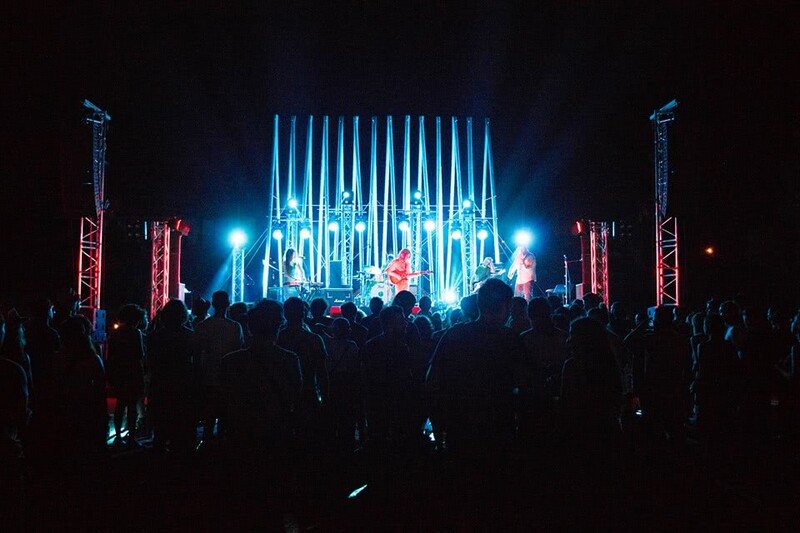 We also just finished playing a couple of shows with The Noise Figures from Greece. Good stuff! Recordings are sounding nice and fat. You can order the album from Louvana Records shop where you can also pre-order the vinyl. 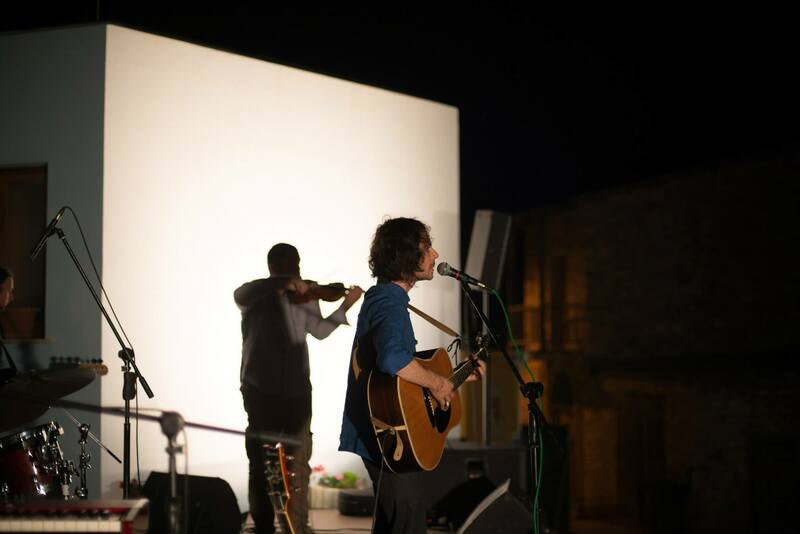 To celebrate the release we are doing a a small Cyprus tour with Dimitris Hadjizisis. More info on the shows here. There are also some shows in Germany gradually coming in, for April, and there is a chance that we are playing France as well. Stay tuned. 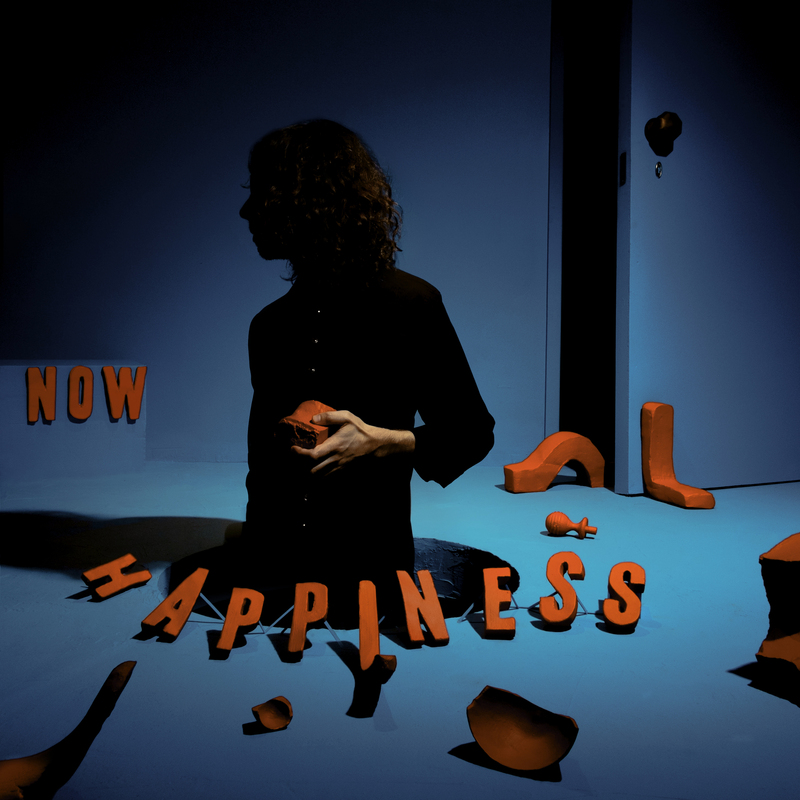 First single and video from "Now Happiness"
I am very happy to share with you the first video from the new album. It's a production of Louvana Records and it was directed by myself, on a concept by Orestis Kalvaris who built the set for the cover of the album, and edited by Andreas Dimitriou for White Leaf Pictures. It features my parents and lots of good friends and it was really fun making. Feel free to share. I'm very happy to share with you the cover of my new solo album. This is the first album that I release under my own name. It will be released on our very own Louvana Records on the 16th of January. The installation and photography is by Orestis Kalvaris and I thank him very much for his hard work and his inspiration for this project. More info and sounds very soon. Stay tuned! 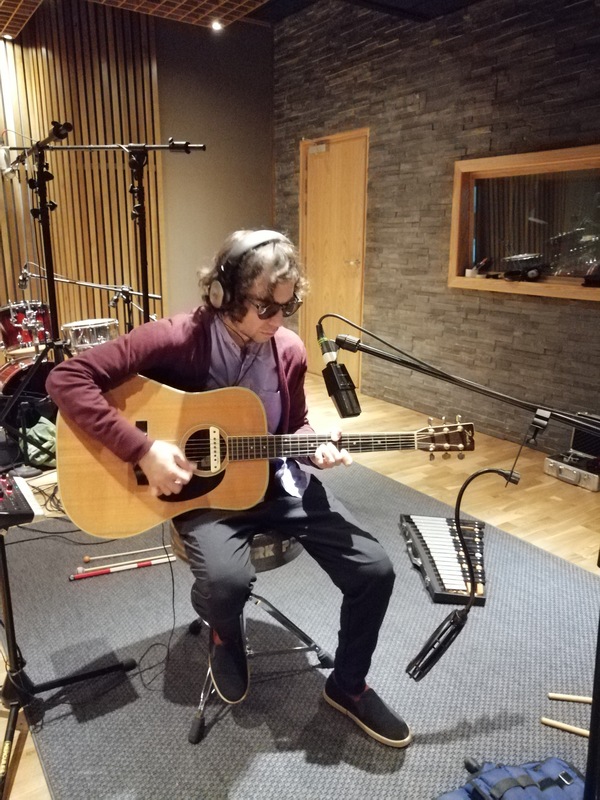 Began recordings for solo album. The album will be called 'Now Happiness' and it will be released in December 2015. Stay tuned! 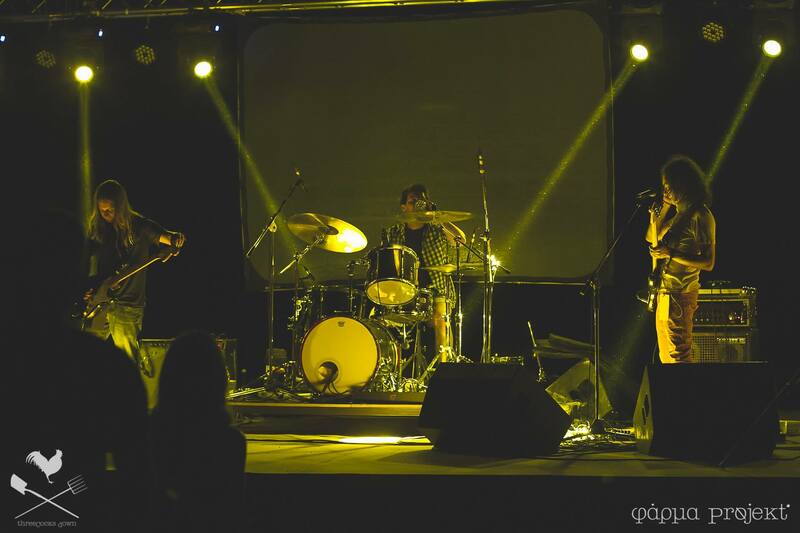 Here's a live version of one of the songs on the album from last year at prozak cafe in Nicosia. 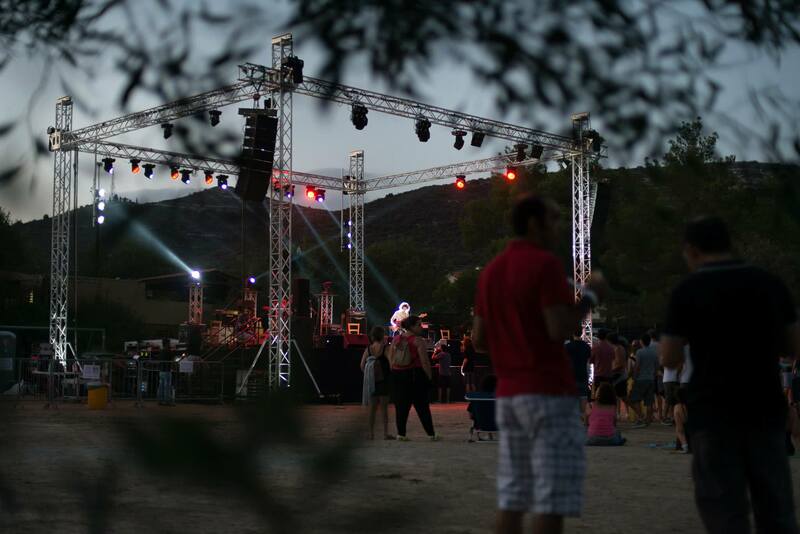 The summer finished up nicely with Fengaros Music Village and Festival being a blast in a every aspect. 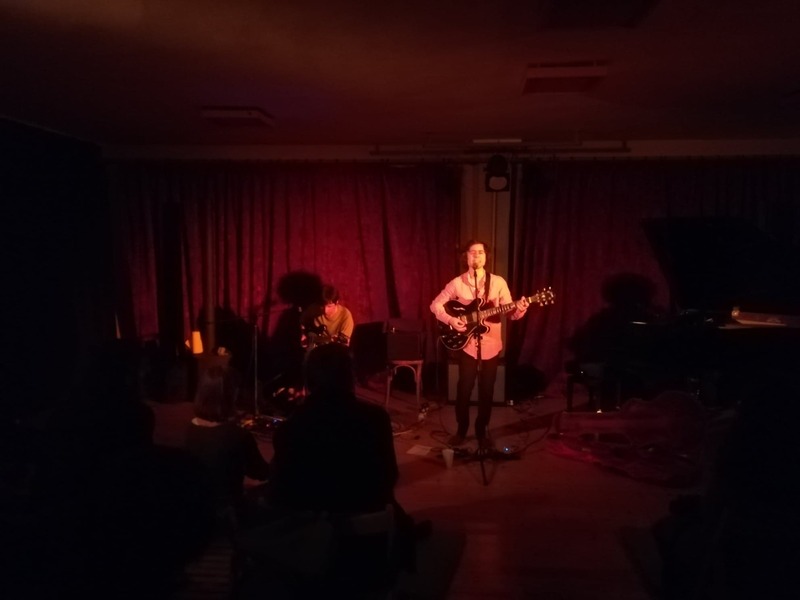 Shows with The Low Spark, Trio Tekke and J.Kriste, Master of Disguise were lots of fun and the vibe at Kato Drys was super positive all throughout the week. Enjoy this nice video with music from Andreas, Mikaela and myself. 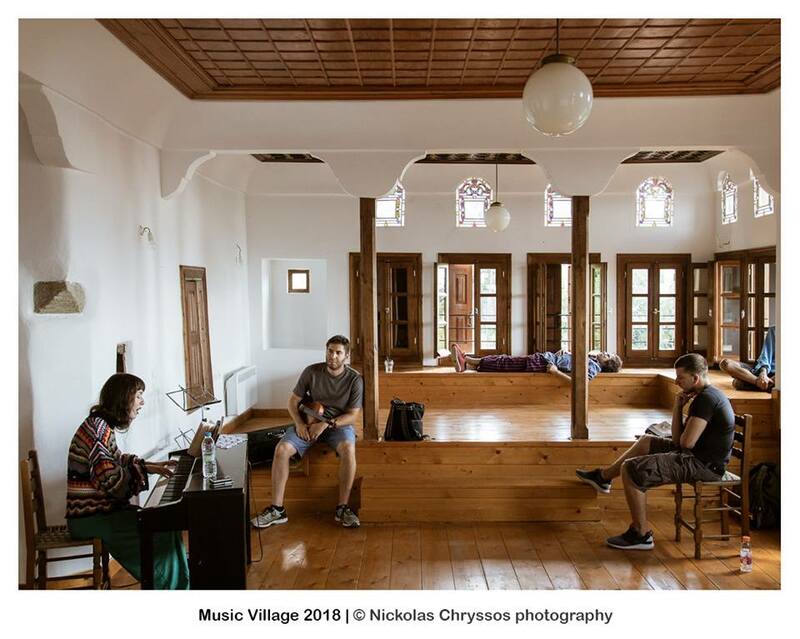 At Music Village in Ayios Lavrentios in Pelion, Greece together with Andreas Trachonitis once again we conducted a great workshop about songwriting and production, which I enjoyed very much! It's been a very productive few months. 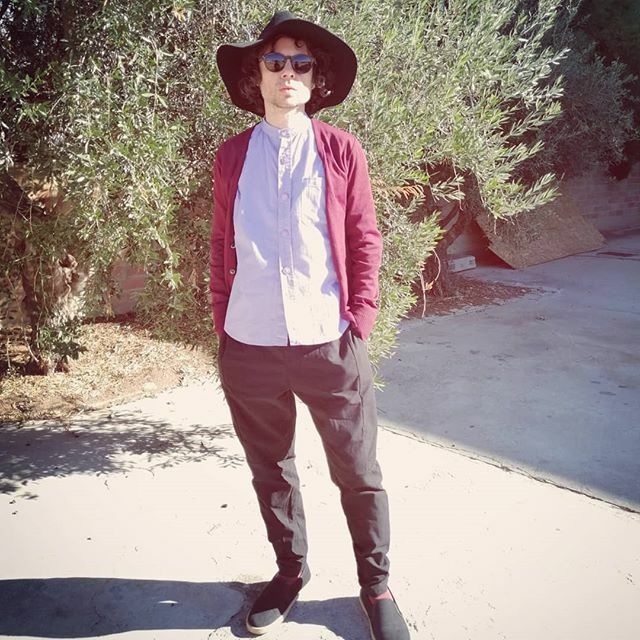 I progressed quite a bit with the songs for my first solo record and I also managed to compose quite a bit for a J.Kriste, Master of Disguise new record and also some songs for The Low Spark. For the latter we have a new drummer, Stefanos Meletiou and rehearsing weekly, so in good form. There's also shows coming up during the summer. 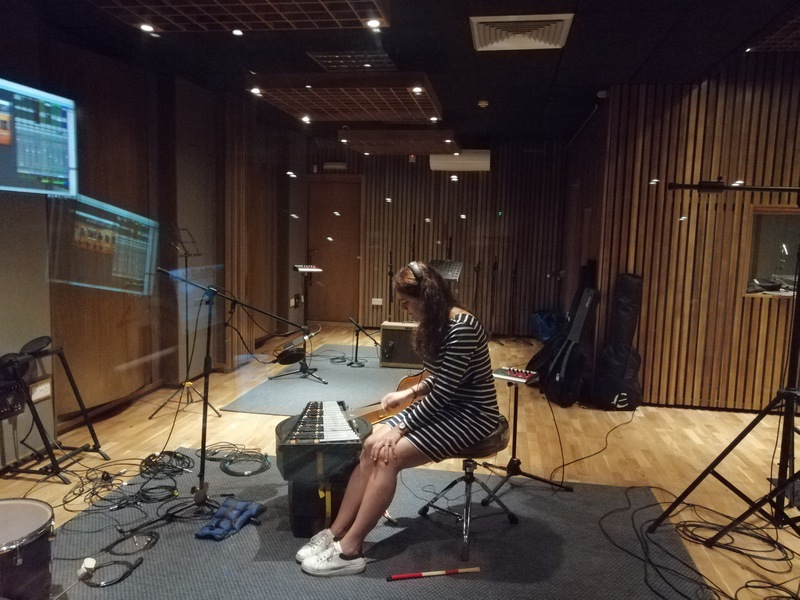 I spent the last week of May in London rehearsing and doing a gig with a refreshed Trio Tekke, since we are now joined by magnificent drummer Dave De Rose, as part of a new collaboration. Watch a video from our gig here. 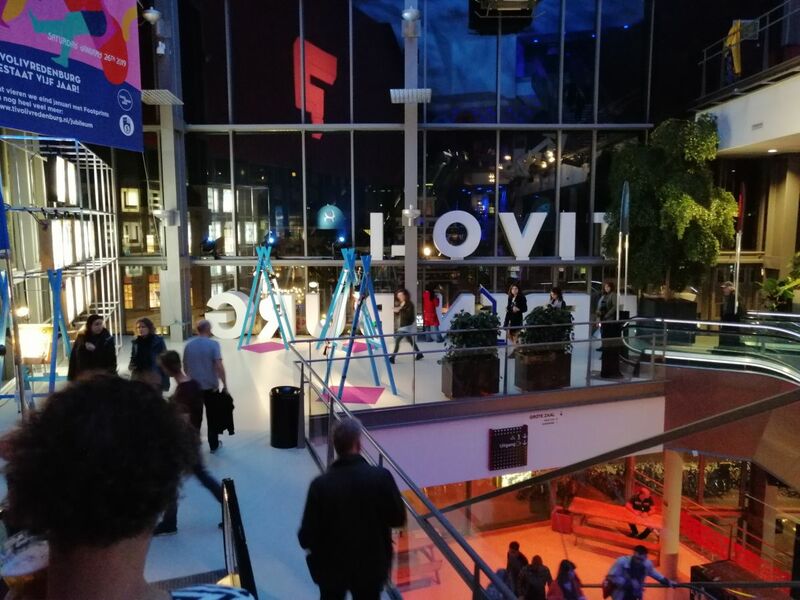 That was followed by some excellent shows in France in early July including France's biggest jazz festival, Jazz a Vienne! Great times! We also managed to get in the studio and record three new tracks which we are planning on releasing sometime in the winter as a new EP introducing our sound with Dave De Rose. Now, looking for Fengaros Music Village, where I'm performing with The Low Spark and Trio Tekke, and of course Fengaros Festival 2015 where we are playing with J.Kriste, Master of Disguise, premiering five new songs! 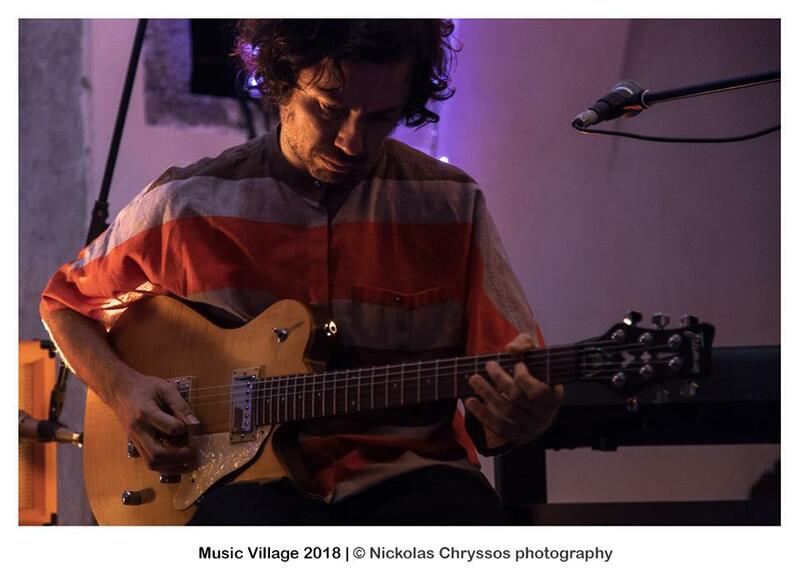 Then I'm off to Greece for a show with Michalis Siganides and then a workshop about songwriting and production Music Village in Greece, with Andreas Trachonitis, to wrap the summer up. For the past few months I haven't been playing live much, which is the first time this happens for quite a while. 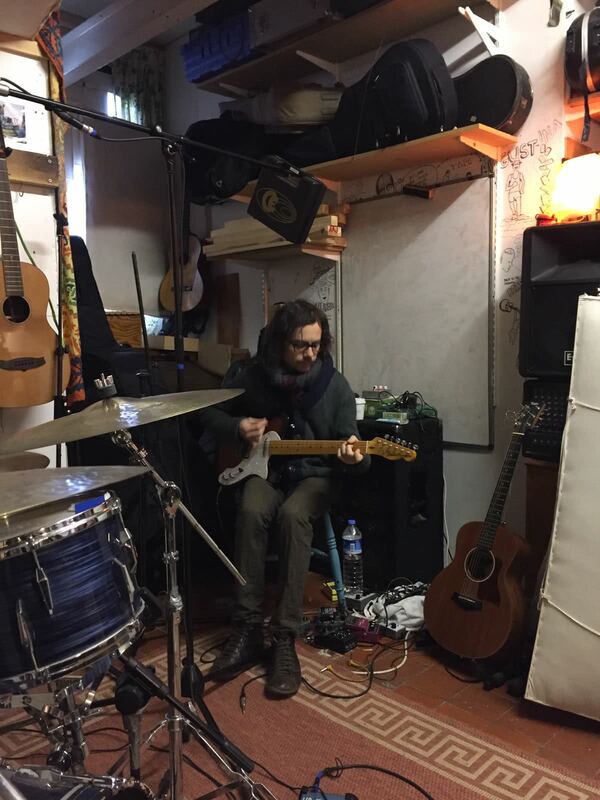 Ι've been mainly in the basement trying to compose and demo new material for a solo record and also for J.Kriste, Master of Disguise. It's been tough getting back into writing and finding the space from where to draw inspiration from, but it's been rewarding. 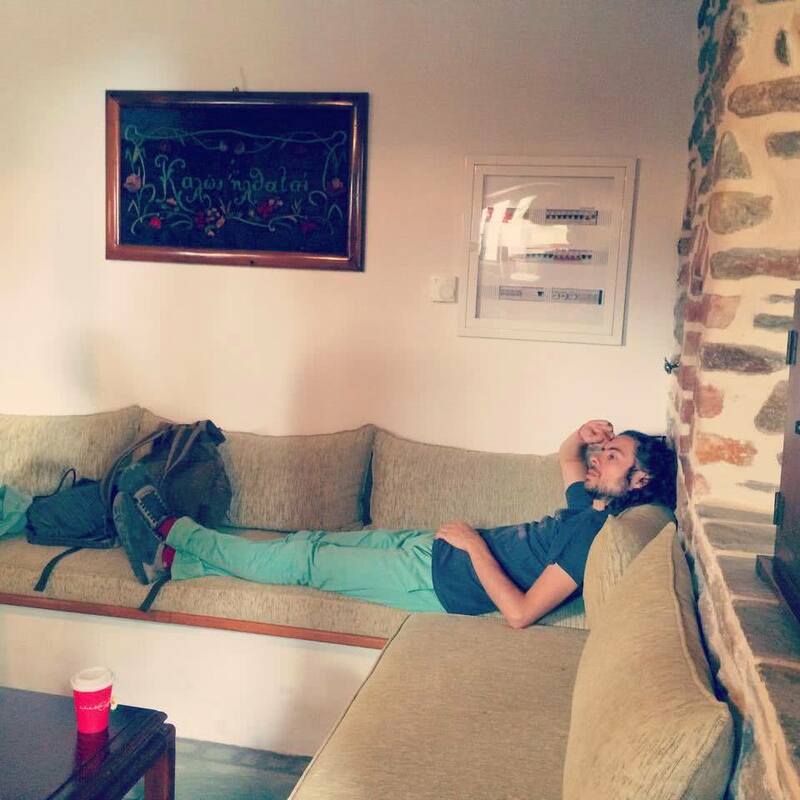 I took a little break from all this to go to Athens and play a lovely duet show at Theatro Porta with my friend Fotis Siotas, with whom we are going to work on his first solo record in the following months. Then straight off to Paris for my first ever gig there. Thanks to the lovely Alexia and Alex Mentis for inviting me and hosting the nite. It took place at Kibele, in front of a small attentive audience, and I really enjoyed my first encounter with the French! 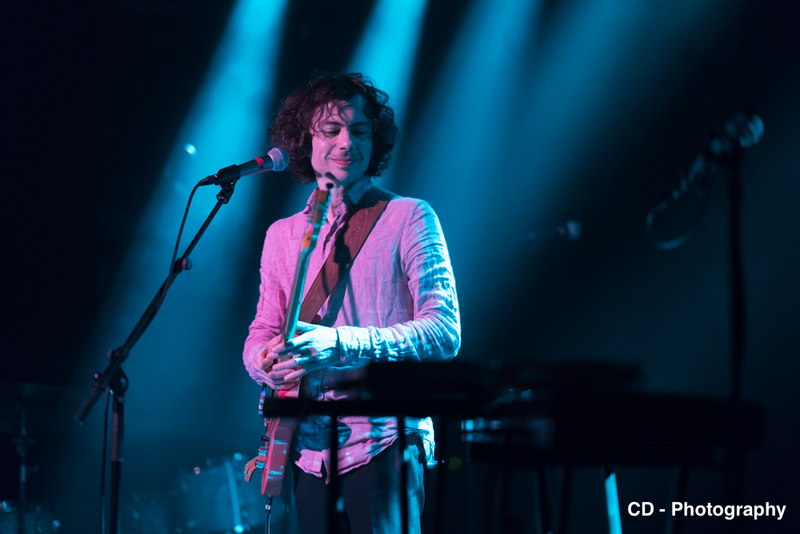 From Paris I traveled to Lyon where I met a bunch of lovely people thanks to my friends Cleo and Benjamin and I'm looking forward to getting back there in July for some shows. Back in Cyprus now and in the basement for some more writing and recording demos of new material. I want to slowly start rehearsing new J.Kriste, Master of Disguise material with the band and hopefully a gig soon to test drive the tunes. Still no news on the Plain History or the new Trio Tekke single, although with the latter there's a few international shows lined up in London and France with our friend Dave De Rose on drums. I'm excited about the new sound of the band. Check the calendar for upcoming dates. 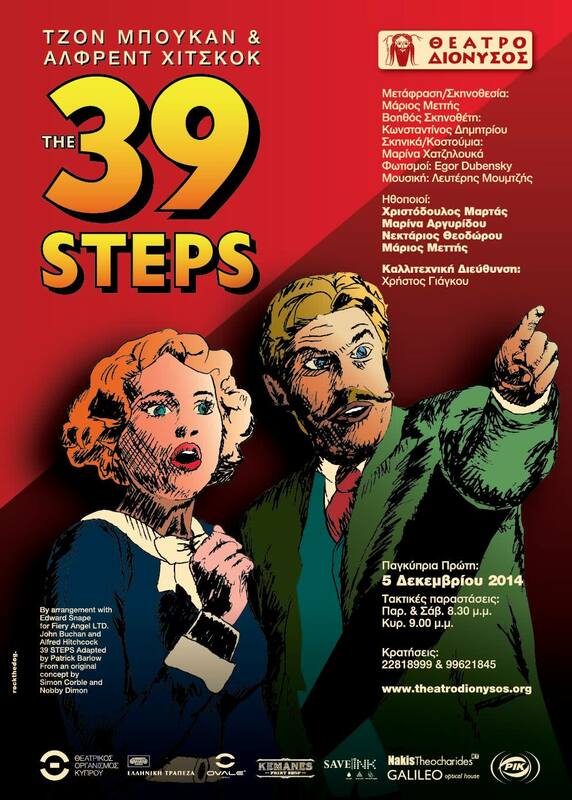 I just finished working on a very pleasant theatre production with Marios Mettis of a theatre classic "the 39 steps". I'm really happy with the results. The play is hilarious and the acting is suberb. 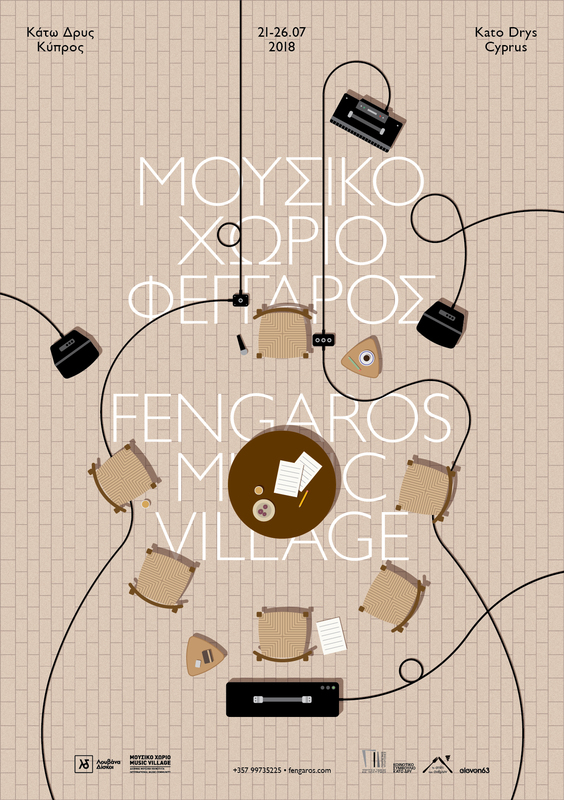 I highly recommend watching it if you are around Nicosia this month. I also composed and recorded a little bit of music for a new documentary called "We share the same sea" which will be out early next year. More info soon. 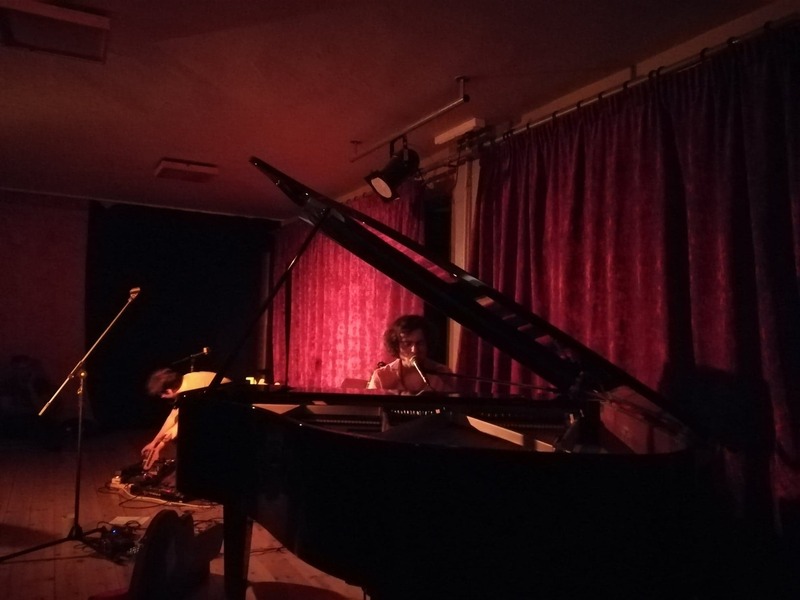 Back in September I went to Greece to play two shows with my friend Michalis Siganides' band, Siganidae 5, which I forgot to mention in the previous blog post. 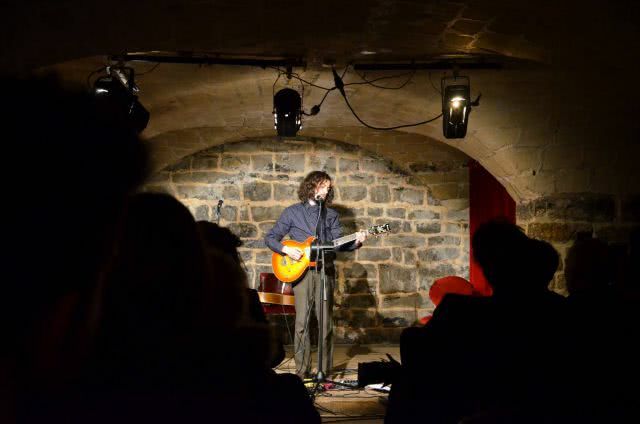 Following is a taste of the Athens show, which I had a great time playing. As far as recording go, we are currently mixing some tracks with The Low Spark which hopefully will be released next year as an EP. There's also a single for Plain History getting mixed at the moment, which contains two tracks. 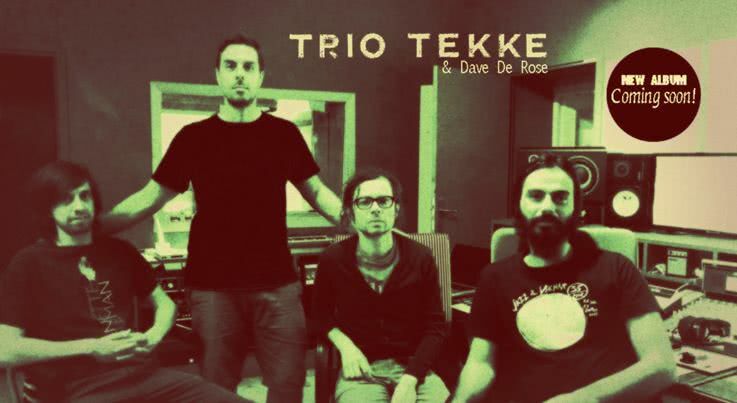 And last but not least we are working a new single for Trio Tekke with master drummer Dave De Rose, with whom we are going to be doing a little French tour in early July! Live show are coming up so check the calendar. at the brand new Moumtzis – YouTube channel for videos from solo performances. in the daily menu. J.Kriste, Master of Disguise performed a show on one of the nights. Cyprus tour as well to promote it. 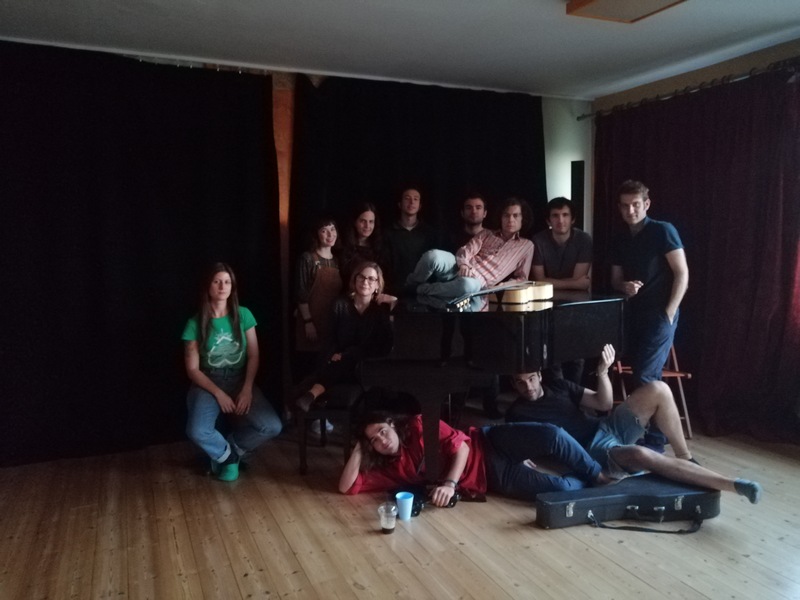 workshop with Fotis Siotas and Alkinoos Ioannides on songwriting / arranging / producing e.t.c. generally having a good time. It's rather tiring though! great Dave De Rose) and also writing for the new project with Fotis Siotas. Hope to see you soon at a show. Thanks for reading through and stay tuned for more soon!